Guess I'm fortunate in the respect that work keeps me away from tobacco for about a week at a time, and my palate is reset. I savour Latakia blends, but after a week away, my first bowl can't be a heavy lat blend, or anything that has a lot of perique in it. It certainly makes the blends pop for me initially, though my tastes grows muted a bit with exposure. 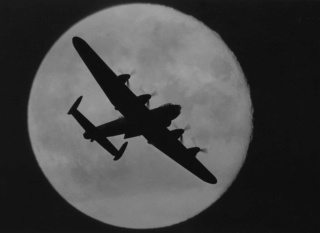 If I recall, I believe some you have had some forced sabbaticals from tobacco, maybe BH? Yet, you continue to no longer have a craving for Latakia. One of those mysteries? Guess we may eventually satisfy our personal Latakia itch, and move on. Missed this thread before, but thought I'd chime in. I've been smoking lat blends for 50 years, and haven't lost the taste for them a bit. I recently discovered HH old Dark Fired and I smoke that once a day, and love it, but not to the exclusion of lat blends. Hmmm, I'm starting to wonder if I am losing the love too. Been awhile since I had English and tried a bowl yesterday. While the tobacco was excellent, it didn't trip my trigger. When I think about it, English was my first love. I also liked to smoke strong cigars as well. During my several year pipe hiatus I found strong cigars all started to taste the same and backed off to medium boutique cigars that had a pepper notes. Get back into pipes this year and I'm all into Virginia's for the first time in a big way and discovered aromatics are not evil. I suppose it could be seasonal too and that is a common thing for me. Guess I will see what next year brings . . . I oscillate over the years. A true love/hate relationship. I've been enjoying latakia blends more lately. 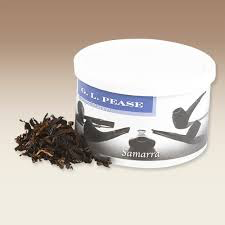 You should try GL Pease Samarra. It is perhaps the only Latakia blend I can go near that still works for me. Council Member, Trading Post & General Site Moderator. And that is why I won't part with my stash. I know it will rotate around again down the road. Like I said, it was my first love. Could anyone not have fond memories of the first? Very interesting thread, thanks for starting it Adam. It's comforting to see that like so many of my BoB's, my tastes migrate over the years. After an extended Virginia and Vaper blends stint, suddenly Latakia blends, straight burly, and (gasp!) even some lighter aromatics have become mighty tasty. What few taste buds I have left become numb to my favorite blends if I smoke it for weeks on end. Variety and rotation seems to be the way for me. Good thing we live in a Golden Age of tobacco options. I've never ben a big fan, but I have to admit that adding a bit of a Latakia to a bowl in cold weather is nice on occasion. Of course, at maybe two tins a year, I have enough to last me 20+ years! My tastes change a lot also. I still enjoy latakia blends, but lately I have been indulging in burleys and some aromatics. Oriental tobaccos have started to bother me for some reason, so I've been staying away from them. » Lost founder password, what about Servimg?